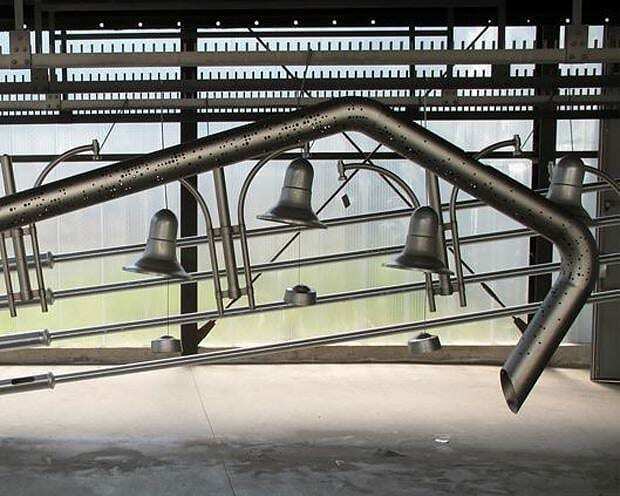 HomeBlogHome DecorAlphabet City Lights by JDS Architects for ewo. 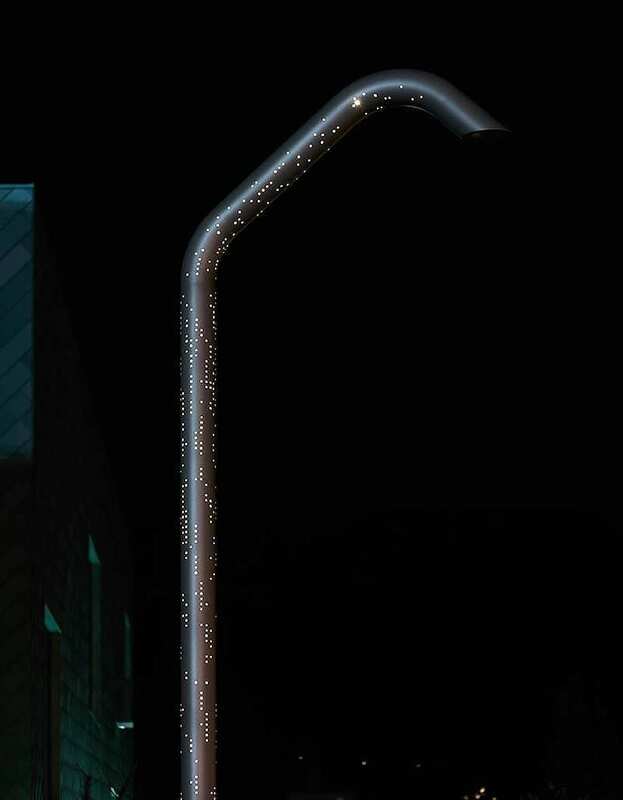 The Alphabet is an impressive street lamp designed by JDS Architects for Italian company ewo. 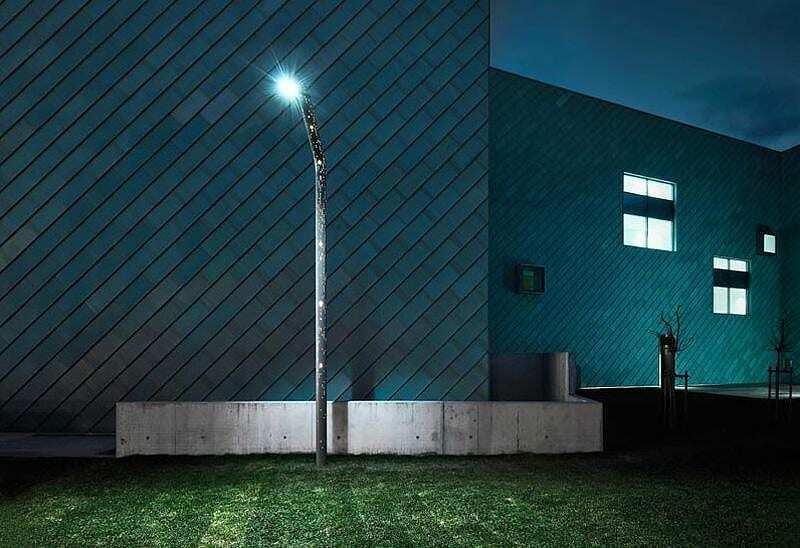 The project was to create an elegant street lamp that could blend aesthetically in different surroundings, while remaining functional, flexible and durable. 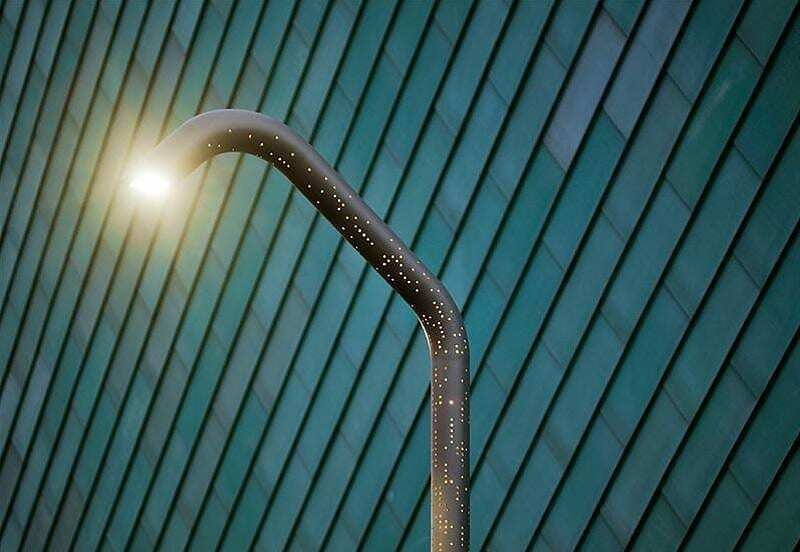 JDS Architects met these needs by creating a lamp which is basically a randomly perforated metallic tube. 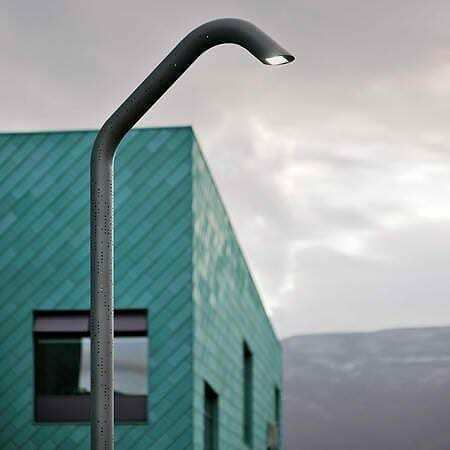 The tube consists of different pieces which are joined together so that the Alphabet City Light can be easily configured in terms of height, shape and lighting direction. 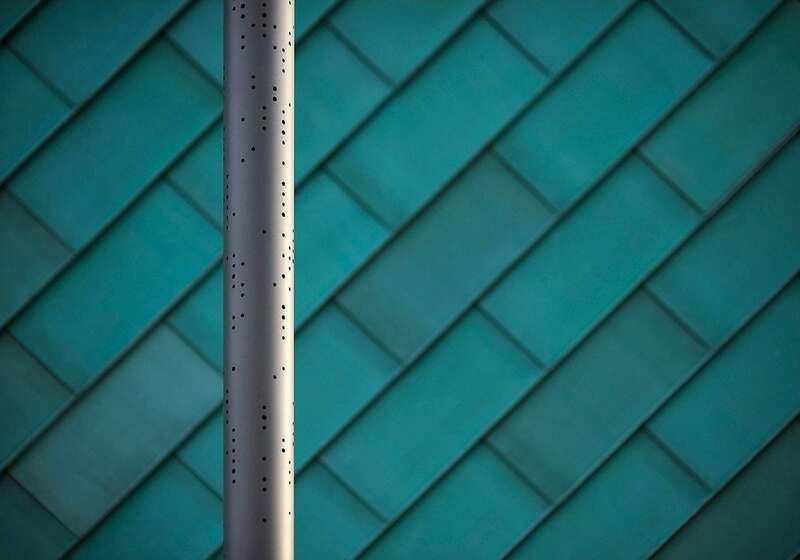 The simple and fully metallic construction offers reliability, while its minimalistic cylindrical shape matches easily to different landscapes, without being a determining intervention in the aesthetics of the surrounding space. When darkness falls and the Alphabet is lighted, the countless small holes start to shine creating a spectacular effect, inspired by the “City Lights”. Seeing the Alphabet illuminated, one instantly recalls the familiar image of the countless small glows we see when looking at a modern city from a distance. Ewo specializes in large area lighting, such as lighting systems for streets, public spaces and large scale architectural projects. The Alphabet City Light belongs to the ewoLAB line of products, which includes the most progressive and modern designs of the company. 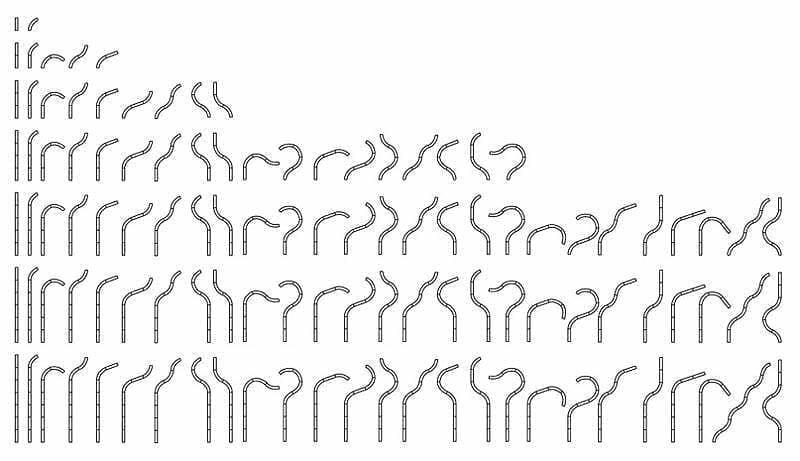 The Alphabet was introduced in this year’s light+building exhibition in Frankfurt and its acceptance by the public was enthusiastic. 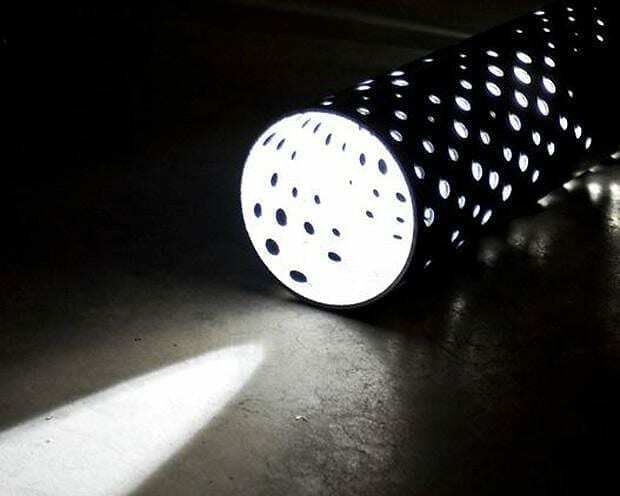 The name “Alphabet” was decided when the design team saw the graphic image with the list of the different forms that this lamp can take (last photo of the article). When the designers saw this image, they immediately noticed that it looks like some kind of weird alphabet and decided to name the lamp after that.